I've got Elton John: One Night Only: The Greatest Hits Live! I love the music, but the video is horrendous. About the worst I've seen, with the exception of Little Feat. It appears it is included in Dream Ticket. Is it just as bad in this set and how are the other concerts? Yep. Typical horrible video quality, but I don't mind one bit because the experience is amazing and ust tons of fun. I love concerts. I went to my first when I was 12 in 1978. Bad Company. I've been hooked ever since.
. The scale of the show is amazing. Depeche Mode: One Night in Paris: The Exciter Tour 2001 is a must see too. My wife surprized me with 7th row tickets to this show when it came to Houston. This is not my favorite DVD, but my wife purchased "Destiny's Child - Live in Atlanta" and it's a surprisingly good DVD. The 5.1 mix sounds great, and there are about 20 different songs during the concert. Most pop concert DVDs have either too much crowd noise or are just a really bad mix, but this one is good. I would recommend it. On my own system, the best I have heard so far is Hillsong/Delirious: Unified Praise. I am so new to HT that I have not had a chance to catch others yet. I am looking forward to trying out much more. Clapton's One More Car, One More Rider, is far and away the best DVD soundtrack I have ever heard. The whole DVD is great but if you want to impress your buddies (or customers in my case) put on tracks 15, 16, and 17 (Cocaine, Wonderful Tonight, then into Layla) which is beyond intense. And you may laugh, but Cyndi Lauper put out a DVD not too long ago called Live...At Last, and while overall its a decent DVD sonically, Track 12 (True Colors) for some reason rivals even the best Clapton or Eagles song in terms of sonic performance. Just listening to those vocals on that one song is reason enough to buy it. 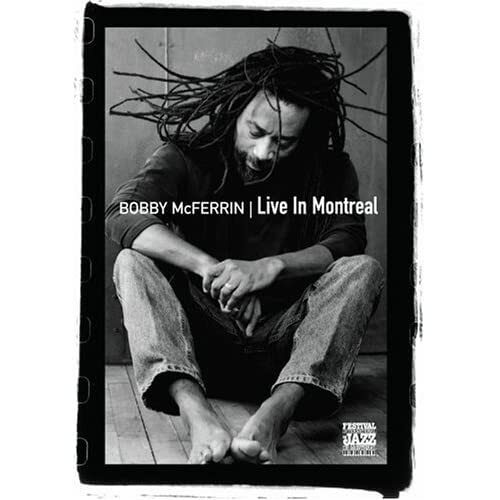 This is Bobby's performance at the 2005 Montreal Jazz Festival, and it's simply astounding. I think Bobby McFerrin is one of the most talented vocalists I've ever heard. Excellent tone, perfect intonation and pitch, and very creative. Jazz Scene USA: 1962 recordings of Stan Kenton and his Orchestra (including mellophoniums! ), and the Frank Rosolino Quartet.